Deinococcus sp. is the world’s toughest bacterium in The Guinness Book of World Records. It is one of the extraordinary microorganisms which can survive against extreme conditions such as UV irradiation, gamma-ray and oxidative stress. They have a special ability to recover damaged DNA caused by strong UV irradiation or Reactive oxygen species (ROS) toward its inborn state. The First is Deinococcus extract through microbial fermentation production and provides a colorless Carotenoid ingredient with anti-radiation and multi-functional effects. The First can be used in all skin care and sun care products. Anti-oxidant: The resilience of Deinococcus sp. 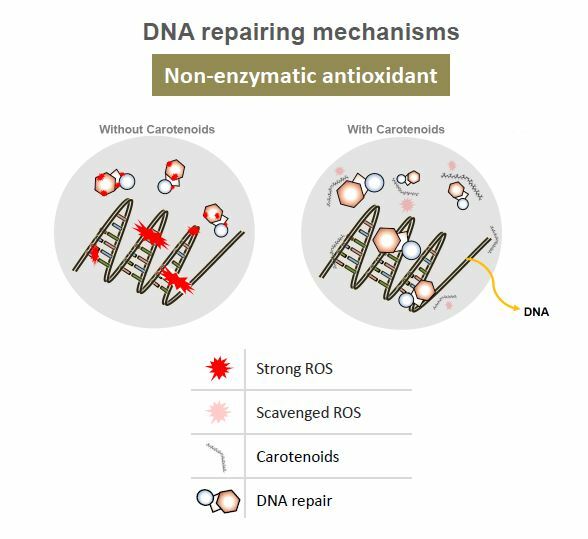 to oxidative stress is imparted synergistically by an protection of proteins against oxidative stress. Whitening: The First has a strong anti-oxidant effect that leads to the inhibition of α-Melanocyte stimulating hormone (α-MSH). Anti-inflammation: Deinococcusis is well-known for its endurance capability for foreign organisms which causes inflammation on skin. 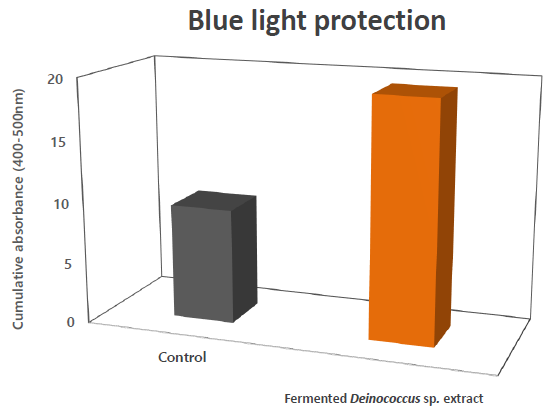 Anti-blue light: The reason why Deinococcus sp. is known as the first material is its capacity to tolerate extreme radiation include artificial light.